Humans are storytellers. It’s what we do. Every culture on this planet is built on tales of the past and the deeds of heroes. Yet we take stories and storytelling for granted. We forget they aren’t merely about entertainment or distraction. The greatest stories all have a message. And the messages from the greatest life stories are, without exception, messages of inspiration. 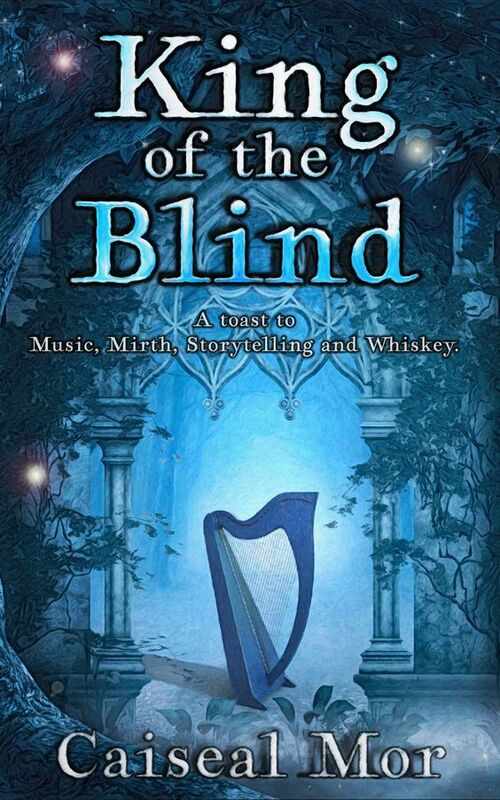 My novel, King of the Blind, is based on a true story, the life of a blind, 17th century, Irish harper called Turlough O’Carolan. When I first heard stories of O’Carolan I was deeply inspired by his life and the manner in which he transformed his apparent disability into a great gift. Young Turlough barely survived smallpox when he was eighteen. Those who got through the plague often suffered ongoing health problems for the rest of their lives. One of the most common was blinding. He was the son of a blacksmith, who was expected to carry on in his father’s footsteps so, the loss of his eyesight left him with few options. Despites the hardships presented to him, throughout his life Turlough expressed great gratitude for the lot he had drawn. He became the greatest harper Ireland has ever produced, at least in terms of composition. His beautiful music is still played and loved today, nearly three hundred years after his death. This is what makes his story worth telling. His life was so inspiring to me that I became obsessed with collecting anecdotes about him. When I researched O’Carolan more closely I was surprised no-one had ever written a fictionalised account of his richly-lived life. That’s when I started playing with the idea of creating a novel about him. As I began writing I was faced with the challenge of reconciling the historical facts of his story with the mythical aspects. O’Carolan claimed to have been given the gift of music by the Queen of the Good People (English speakers of those times referred to them as the Faeries ). He claimed to have on-going contact with these mysterious beings and swore they gave him some of his best tunes. To bring the two sides of his life together I decided to tell the story through another storyteller, someone who knew him well. Hugh the Freckled is a mild exaggerator who is approaching his own mortality. He’s decided to spend his last few days on Earth telling tales about his adventures as a servant to the great O’Carolan. An unexpected visitor, Edward Sutler, arrives to listen in. He’s literally a captive audience. To me, the important historical aspects of King of the Blind are the details of customs and costumes. Attention to detail breathes life into any tale. For example, it was important for me to accurately portray the workings of a flintlock pistol of those times. On the other hand, I was able to weave in the magical elements of O’Carolan’s life in a salute to traditional storytelling. There has to be a balance between a literal reading of historical accuracy and the human elements of a story. If the characters live and breathe so will their tale. In my opinion fiction is how we express fundamental truths that transcend mere historical facts. The cover is awesome and I enjoyed the description!